Welcome to Day #2 of Chocolate and Costa Rica Theme Week. This single origin, ultra-dark bar had dark chocolate, green, caramel, fruit (cherry plum, nectarine, grapefruit) and coffee aroma and flavor notes. It had a hint of bitterness one might expect with a very high percentage (85% cacao) bar, but was also surprisingly sweet. 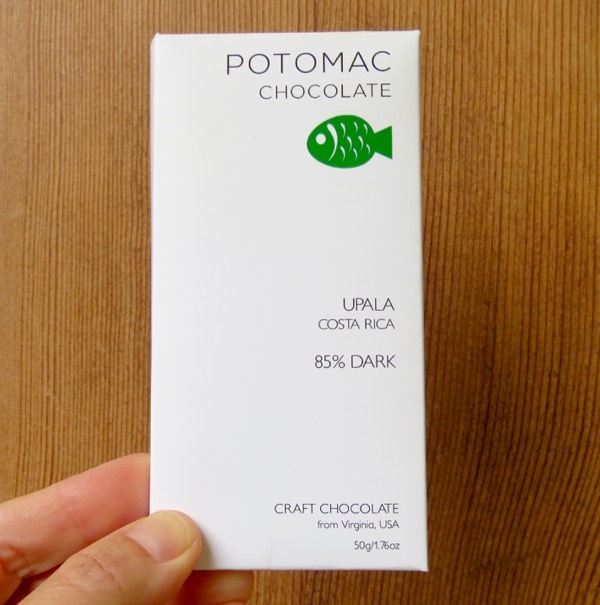 The cacao used to make this bar was grown by Finca La Amistad, a small farm in northern Costa Rica. The maker's description read: "...rich and earthy with notes of coffee, nut and red fruit."